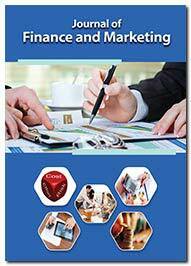 The Journal of Finance and Marketing disseminates high quality research content based on Financial Marketing from marketing professionals across the globe, with implications from the leading Business schools, universities and research institutes. Under the guidance of vast range of expert editors from different parts of the world, the journal aims to include all the recent developments and techniques used in marketing financial services. Being an Open Access journal it reaches more number of readers. A two level peer review process is followed to ensure a good standard of the data/content disseminated. The journal is devoted to strengthen on-going research and also help students and professionals across the world by providing high quality research information with the help of a strong editorial board. The major topics covered in the journal include and not limited to Banking services, pension plans, insurance policies, saving schemes, product positioning, online services, customer profiling, loyalty plans, brand management, cross-selling products and services, financial innovations, Institutional banking and finance, Regulations affecting financial services marketing, Segmenting financial services, customer Wealth management, customer relationship management, customer profiling, targeting, distribution management, consumer finance, pooled investment funds, Investment finance, Portfolio management, Financial markets, Financial product innovation, Financial law etc.